Synopsis: The true story of a U.S. Custom official’s infiltration of the notorious Medellin drugs cartel. It’s 1980s Florida, and the state is awash with drugs imported by the Medellin Cartel, which counts among its leaders the notorious Pablo Escobar. Illegal drugs transactions amount to $420 million a week, and US Customs officials seem powerless to stem the tide. Realising that following the drugs trail is yielding negligible results, Agent Bob Mazur (Bryan Cranston – Drive, Total Recall) decides instead to trace the route traveled by the vast sums of money involved. Together with fellow Federal agent Emir Abreu (John Leguizamo – The Counselor, Anarchy: Ride or Die), Mazur goes undercover as a shady businessman prepared to launder money for the mob in return for a cut, and slowly wins the trust and friendship of those he intends to bring to justice. 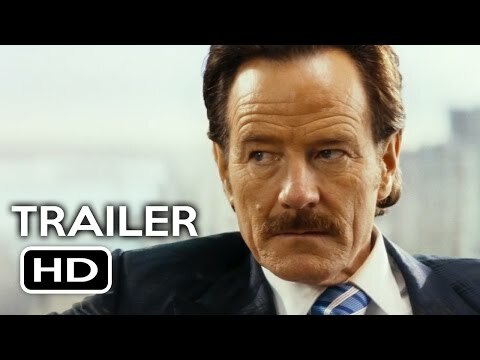 Watching as Mazur, played impeccably by Cranston, ventures ever deeper into the belly of the beast, one can only marvel at the nerves of steel he possesses. Someone who breaks bread with the enemy must live in a permanent state of heightened anxiety; one tiny slip, or a moment of bad luck, can spell the immediate end of their life, and, when those precarious moments inevitably arrive, the agent must possess the composure and speed of thought to deflect suspicion. Aided, perhaps, by the real Mazur, who was one of The Infiltrator’s producers, Furman’s movie provides a compelling portrait of the psychological burden of spending each day balanced on that tightrope, while also exploring Mazur’s conflicting emotions as he grows to like – and be liked by – those whom he plans to bring down. It also examines, less successfully, the pressure the situation places on his home life, and the very real danger that these worlds might overlap. In reality, Mazur lived away from home during the case, which is common practice for undercover agents, and Furman’s decision to try and manufacture tension from fictionalised situations – such as Mazur’s unconvincing encounter with one of Escobar’s lieutenants at a restaurant in which he is celebrating his wedding anniversary with his wife (Juliet Aubrey) – is The Infiltrator’s biggest weakness. One has to question why he felt it necessary, given the high level of tension which is built in to the main thrust of the plot. Fortunately, as noticeable as they might be, the dramatic liberties that, Furman and screenwriter Ellen Sue Brown take with the truth aren’t frequent or serious enough to devalue the tense atmosphere and fine performances. Cranston’s top-notch performance is complemented by a typically energetic one from Leguizamo, while Diane Kruger (Inglourious Basterds) is equally convincing as the agent who’s drafted into the operation to pose as his fiance after Mazur rather unconvincingly refuses sexual favours from a stripper in one of the mob’s nightclubs. It’s also refreshing to see a movie portray the Cartel’s high-ranking members as the kind of ruthless but efficient men capable of running a multi-million dollar operation instead of the usual short-tempered psychopaths waiting for any opportunity to dispense violence. 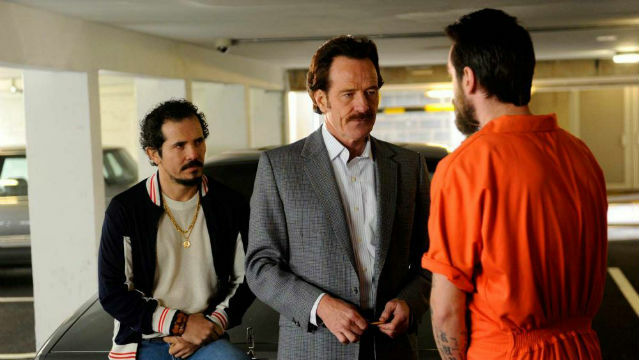 The Infiltrator isn’t without its faults, but it provides solid entertainment for fans of crime thrillers.